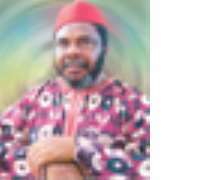 The kidnap of Chief Pete Edochie on Sunday has already begun to take its toll on the movie industry especially in the South-East. As at Monday, major operators in the industry have gone into hiding, while activities in the industry suffered nosedive as many could not turn up for appointments. This is coming just as the kidnappers of the frontline Hollywood actor have established contact with his family and demanded N10 million ransoms. Stating that Edochie was hale and hearty as they had spoken with him, the source stressed that the family was still urging the kidnappers to come to the level the family could afford. Speaking to newsmen, the President, Anambra State Chapter of Actor Guild of Nigeria, Chief Iyke Ezenagu, said on Monday that the industry had started counting losses over the kidnap of Edochie. He said: “Do you know what that means to the industry? What it means is that movie production in Nigeria or at least in the South East is as good as dead. That also means that a lot of people who are actors and operators in the industry have been thrown out of job and that is a bad development. “The kidnap over the weekend of Chief Pete Edochie, renowned actor and Chairman of the Rebranding Nigeria Committee came as a shock to me. Besides being an excellent actor, Edochie is a patriotic Nigerian and great role model who served selflessly in the committee to reposition Nigeria's image and has continued to contribute to the success of the programme. I therefore condemn his kidnap over the weekend in Anambra State, and call on the security agencies to ensure his prompt release. The kidnap of this great Nigerian, like any other Nigerian, is a dent on our image, and assault on the good people of this great country. This is one Kidnap too many. I appeal to the kidnappers to release him immediately. Chief Edochie is a good man and does not deserve to go through this harrowing experience”. Just before press time, unconfirmed sources told that Pete Edochie was released by the Kidnappers after receiving N10m ransom.